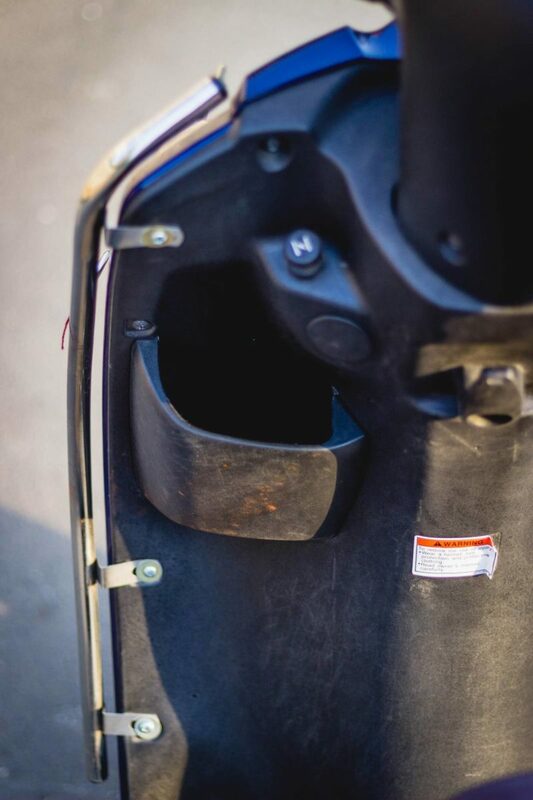 There are a few things that make gearless scooters the most feasible first step into riding a two-wheeler. 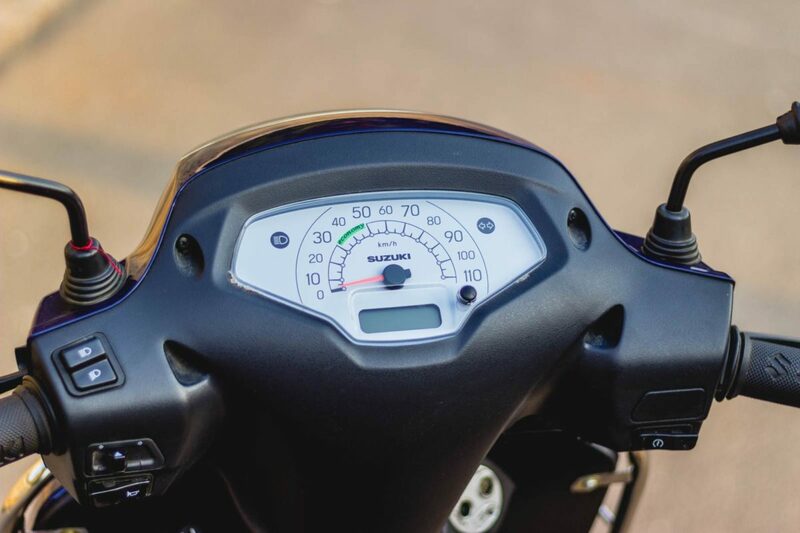 Besides being a convenient and relatively effortless tool even for those who know how to ride geared things, a gearless scooter also makes it easier for the first-timer to get a taste of motored, two-wheeled freedom. While we’ve already told you what we think about the Suzuki Access 125, was asked one of our friends who bought one recently, to tell us about things that she likes and what could’ve been better. 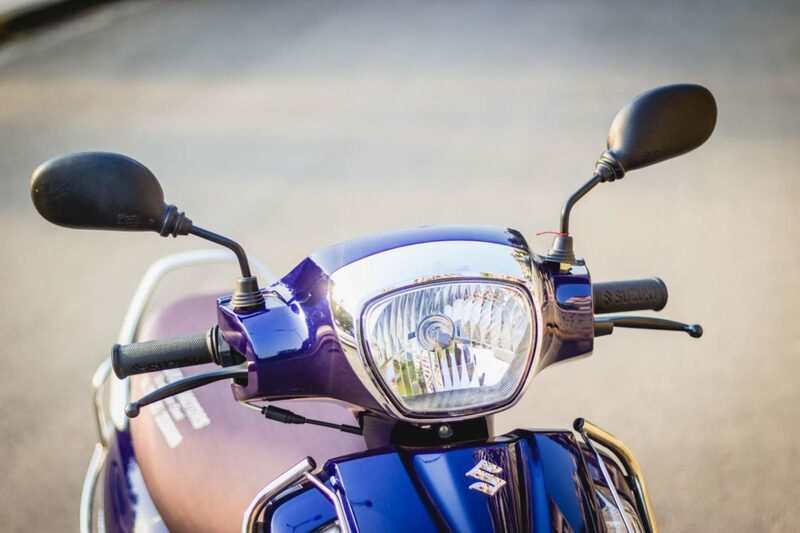 Our friend’s Suzuki Access 125 is finished in a shade of Pearl Deep Blue, which she feels compliments the chrome-lined, retro-styled headlight really well. Besides her love for the shape, she says the main candle is quite adept at carrying out illumination duties too. Looks are subjective. 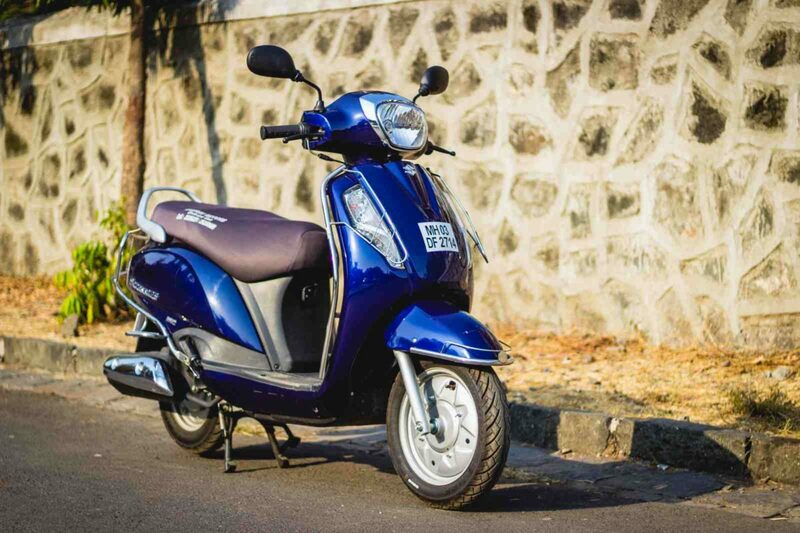 But since we are sharing an owner’s perspective, what drew our friend visually towards the Access 125 was the maturity and balance in its visual appeal. She says it isn’t very flashy and neither is it boring, which is how she likes things. An owner of another popular scooter before this, our friend felt that the Suzuki feels more stable than that 110cc scoot and still, is easy to manoeuvre, which is really important as her everyday route requires her to ride through a lot of chaos. 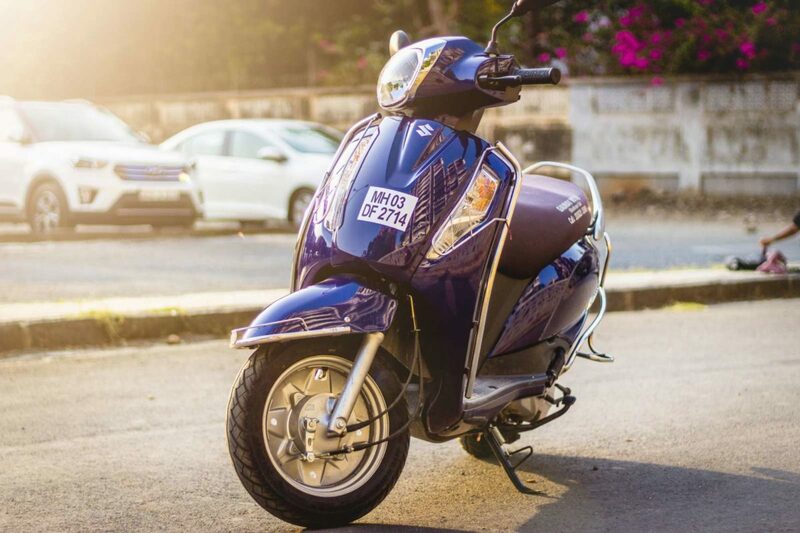 She likes how this scooter justifies its name by making things like making a U-turn or making it sit on its centre stand really easy. The latter, in particular, is important as our friend is as light as a feather. What she also likes is that the Suzuki Access feels compact than it actually is while in the saddle. It gives her that much more confidence while inching forward between two vehicles while filtering through traffic. What really shines out for her is the Access’ ideal weight distribution, which she feels adds to her confidence when she’s out there riding. Being honest, she tells us that although she is a sedate rider, she likes how the Access can accelerate quickly when she likes to wring it sometimes. 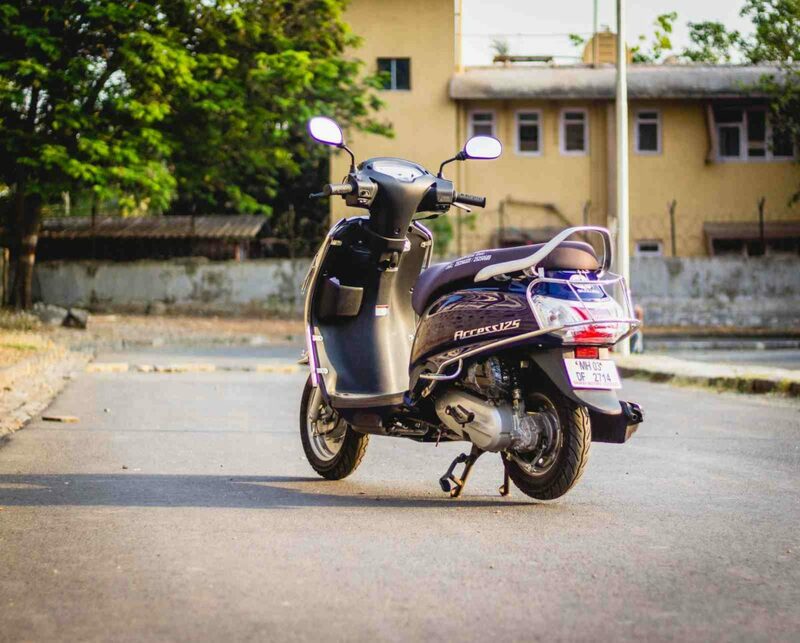 She likes the progression and consistency of the throttle which makes her experience smooth and judder-free. One area where she feels the Access could do better is in the braking department. The rear drum brake in her own words feels too ‘Gentle’. The Access 125 has been very practical like most other scooters but specifically talking about the seat, our friend did mention how easy it was to move around on its flat and wide surface. For someone who is 5.5″, the footboard has enough space left for two backpacks once she’s planted her feet comfortably. Why two? Because she travels with a colleague. The small compartment on the apron’s left side is quite helpful to store hand-dandy stuff. How could we possibly forget asking about the boot space? Our friend was pretty satisfied with what the Access 125 offered under its seat. 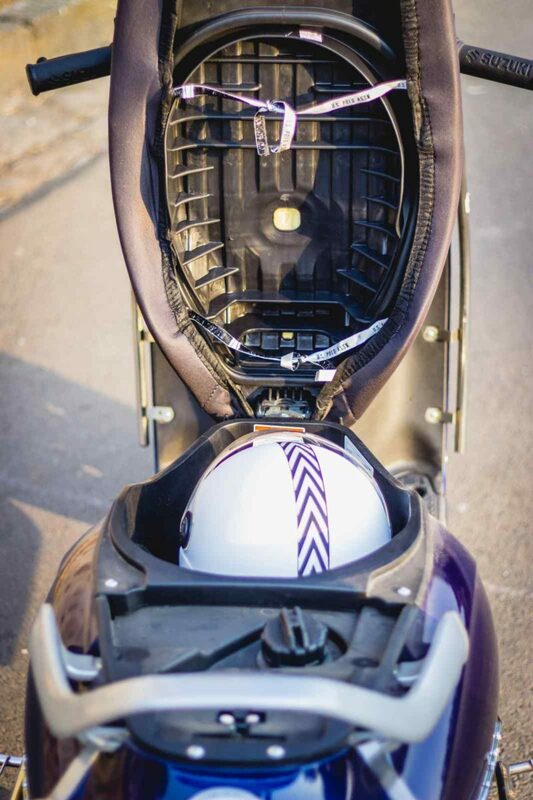 A regular-sized helmet and a few other basic essentials can be placed in the boot easily without having to struggle to get the seat down and locked again. The rear view mirrors were another plus point in terms of size and visibility. To sum things up, for someone who fills it to the brim every time and doesn’t really keep a tab on mileage, the 5.6-litre tank gives her enough range. She rides almost 10 kms a day and visits the bunk not more than three times in a month.